Can support different color and style's eyebrow,welcome to order from us. 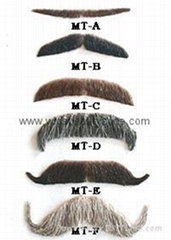 Can support different color and style's moustaches and beards.Welcome to order. All of them are hand made,material include human hair and animal hair.Can support different color and style.